LONDON: Taking vitamin D supplements with antibiotics can help speed up the process of clearing multi-drug resistant tuberculosis bacteria from the lungs, a study claims. The World Health Organisation estimates that 10.0 million people developed active tuberculosis (TB) in 2017, and that 1.6 million people died of this disease. “Multi-drug resistant TB is on the rise globally. It’s notoriously difficult to treat, and it carries a much worse prognosis than standard TB,” said Adrian Martineau from Queen Mary University of London in the UK. Multi-drug resistant (MDR) TB is caused by bacteria that are resistant to treatment with at least two of the most powerful first-line anti-TB drugs, causing around 5,00,000 cases and 1,50,000 deaths per year worldwide. Existing antibiotic treatments for MDR TB are lengthy, costly and often toxic due to their serious side effects. “Our study raises the possibility that vitamin D—which is very safe and inexpensive—could benefit this hard-to-treat group of patients by taking a novel approach to their treatment,” said Martineau. “By adding vitamin D to antibiotic treatment, we can boost the immune system to help the body to clear TB bugs, rather than relying on antibiotics on their own to kill the bacteria directly,” she said. “This is a novel approach, as it contrasts with the conventional tactic of developing new antibiotics in an attempt to ‘keep up’ with the emergence of drug-resistant bacteria - an arms race that is proving hard for us to win,” she added. 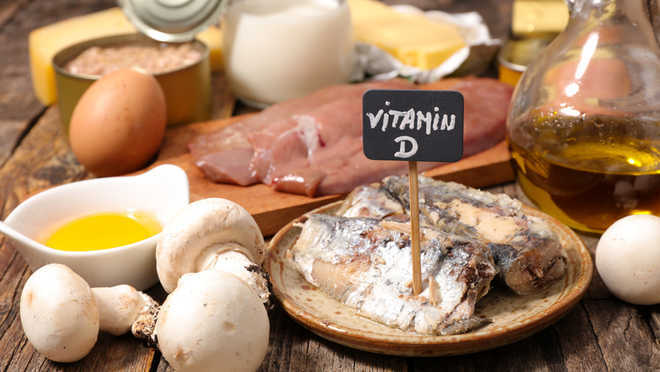 In the study, published in European Respiratory Journal, the research team pooled data from 1,850 TB patients who took part in clinical trials of vitamin D in eight countries including India, Pakistan, Bangladesh and the UK. They then ran an analysis to see whether there were particular groups of patients who responded better to vitamin D than others. The researchers say these results illustrate the potential for so-called ‘host-directed therapies’—treatments that boost the immune system—to improve outcomes in patients with drug-resistant bacterial infections. The researchers caution that the analysis is not sufficient on its own to justify a clinical recommendation of the use of vitamin D in the treatment of MDR TB, as it is based on a relatively small number of participants.